Trump & Carson: What’s The Problem? For the past week, I have watched moralist Media mavens wring their hands over comments (and non-comments) about Islam and Muslims by Presidential candidates Dr. Ben Carson and real estate tycoon Donald Trump. For the record, Carson began receiving flak when said he didn’t think we should ever elect a Muslim President. Trump was lambasted when he didn’t refute negative comments a man in a town hall audience made about Muslims and President Obama. Then Trump was lambasted because he didn’t disparage the man who said the problem in America today is Muslims, who want to kill us and a president, who he insisted, is a Muslim himself. For those who have lost all perspective about what free speech is, those are perfect examples. You may not agree with what Carson said or what the man in Trump’s audience opined, but they had an absolute right to say it without being pilloried by self-righteous talking heads on CNN, MSNBC, or any other news organization. Trump has said he had no obligation to correct the man who wrongly called Obama a Muslim. And Carson is doubling down on his remarks initially made on NBC’s Meet the Press. And you know what? He is right. Sharia law requires allegiance to Islam first and foremost. Secular governments must be subservient to the Islamic edicts derived from the Koran and the traditions of Islam. Why do you think that many Muslims in the U.S. and the non-Islamic nations of Europe are insisting on instituting Sharia law in their communities? But even then, that might not be enough, he continued. There is the practice of “Taqiyya,” a tenant in the Shia Islam denomination in which a Muslim can mislead nonbelievers about the nature of the Islamic faith to avoid religious persecution. “Taqiyya is a component of Shia that allows, and even encourages you to lie to achieve your goals,” Carson said. 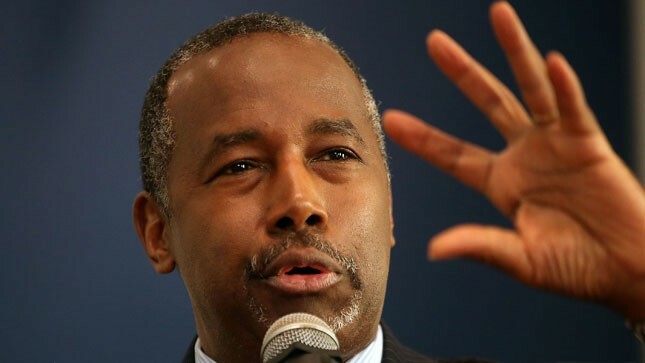 Since Carson made his statements, the Council on American-Islamic Relations (CAIR) has called for the doctor to withdraw from the Republican presidential race. And why not? CAIR is an organization that wants to suppress any comments that are critical of Islam. So while it says Carson is ignoring Article VI of the Constitution, which says there will be “no religious test” for a candidate seeking public office, it seems perfectly willing to strip Carson and others of their right to free speech as guaranteed by the First Amendment. Now, on to Donald Trump. OK, the guy may have an ego as big as the Ritz and he may say things that cause a lot of folks to cringe. But in this case, it’s what he didn’t say that got him into trouble. Holier than Thou media pundits like Anderson Cooper of CNN condemned Trump for not coming to the defense of Obama. Why? Trump is not obligated to defend a President he disagrees with philosophically or politically. For that matter, no one is. I sure don’t feel obligated to support a president who I believe is intent on making our country weaker militarily and more impotent politically in the international arena. The one indelible picture I will always have in my mind is the President of the United States, bowing before King Abdullah of Saudi Arabia. Strong leadership and image are critical in matters of world affairs. It was stunning to me that just hours after he apologized to a European audience and said America has been “arrogant” and “dismissive,” Obama paid fealty to the Saudi King by bowing to him at the G-20 Summit in London. One thing is for sure. Neither Donald Trump nor Ben Carson strike me as men who, if elected, would feel the need to travel the world apologizing for America’s “arrogance,” or who would bow before a Saudi King–or anybody else, for that matter. And neither of these candidates, I am confident, will allow themselves to be run out of the Presidential campaign by a mendacious mainstream media or an intolerant, fanatical group like CAIR. Thank God we still have a few presidential candidates with backbone who will not kowtow to a self-righteous media and other self-styled authorities of proper thinking and deportment.